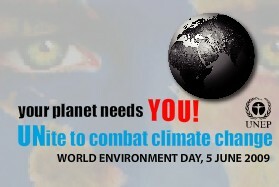 This year’s theme for World Environment Day (WED) is Your Planet Needs You! UNite to Combat Climate Change. But too often we are presented with environmental problems without being given the tools to act. WED is about taking action to be a part of the solution. And the 30 Daily do something Tips below are a great start. Only then will mankind realize that we cannot eat money. Find needy homes or charitable organizations for things that you no longer need or want rather than throwing it away. Delhi Freecycle Network it! Don’t go anywhere without your cloth bag so you can just say no to plastic whenever you shop. Remember plastic bags are banned in Delhi. If you’re one of the lucky few blessed with clear stretches of road on your way to work, drive at uniform speed, as it saves fuel. Nice Post and mainly you’ve sectioned it very well. It is a evergreen post, all your ideas are applicable for today.